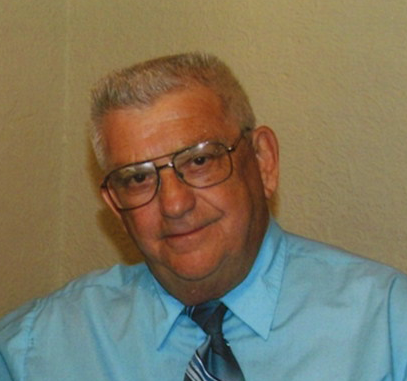 SANTA FE - Mr. Paul Dominic Macaluso passed from this life Thursday afternoon, September 6, 2018, in Texas City. Born April 4, 1939 in Galveston, Texas, Mr. Macaluso had been a resident of Santa Fe for 35 years, previously of Galveston. He was a lifetime member of Fraternal Order of the Elks Lodge #126 in Galveston and 1st degree member of the Knights of Columbus Council #10393 in Hitchcock. Paul was a security officer at Gulf Greyhound Dog Track, had ridden with the Galveston Police Department as an auxiliary officer, worked at Republic and Nash Auto Parts in Galveston and was the general foreman at Todd Ship Yard. He was preceded in death by his parents, Dominic Joseph and Nora (Sckittone) Macaluso; brothers, Joe and Vincent Macaluso; sisters, Ada Capuano and Camilla Prejean. Survivors include his loving wife of 57 years, Lydia Macaluso; son, Michael Todd Macaluso and wife, Sherry of Alvin; brother, Frank Macaluso and wife, Joan Lee of Galveston; sister, Rosie Dunn of Santa Fe; brother-in-law, Matt Hasselmeier; grandchildren, Mason Nick Macaluso and Logan Fox; numerous nieces and nephews. Visitation with the family will be from 9:00 – 10:00 a.m. Monday, September 10, 2018 in the chapel of Hayes Funeral Home, 10412 Highway 6, Hitchcock, TX, with a memorial service beginning at 10:00 a.m., with Reverend John Kappe officiating.